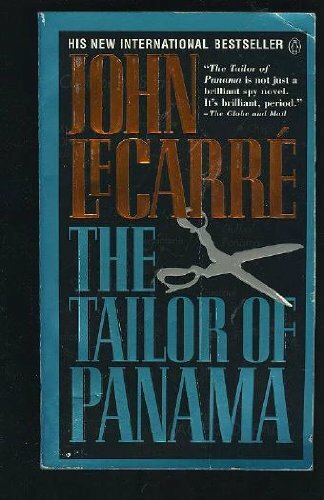 The Tailor of Panama by John le Carre (Fawcett Crest Mass Market International Edition Paperback April 1997. Harry Pendel is a tailor in Panama City, he also is a British spy. He dresses the panamanian President and the General in charge of the U.S. Southern Command. But teh he fits politicos and crooks, and conmen, hearing confidences like a priest in confession. And what he doesn't hear, he chooses to but then what is a tailor for if not to disguise reality with appearance. Seldom has the hidden eye of British intelligence selected such an unlikely champion as Harry Pendel. "Entertaining...a riotous, readable novel." - The New York Times Book Review. "Vigorous and engaging, rich in the character of its locale." - The Boston Globe. About John Le Carre (Author) : John Le Carre is a published author and a narrator of children's books. 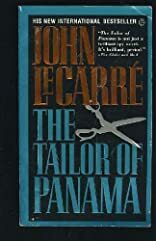 Some of the published credits of John Le Carre include Spy Who Came in from the Cold, The Tailor of Panama, A Perfect Spy.